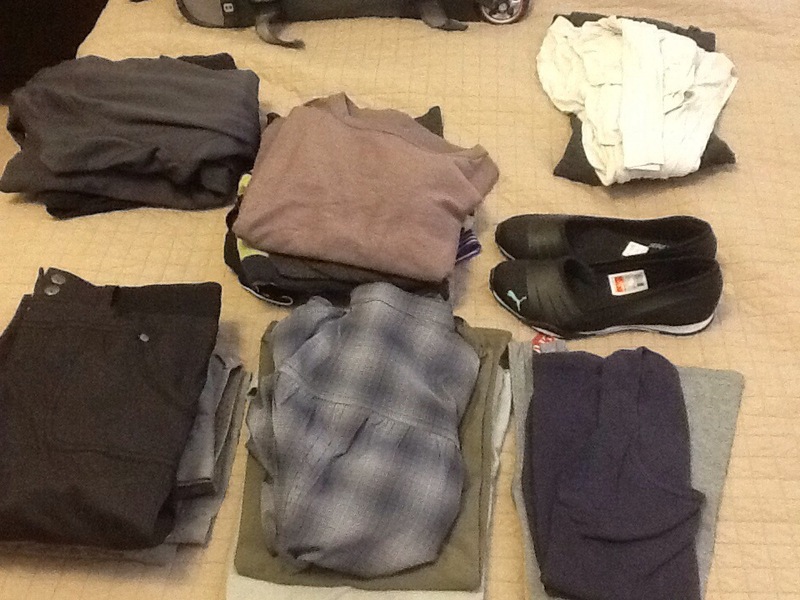 I’m a big believer in minimal packing when possible. Lugging suitcases and tripping over piles of clothes and shoes in a small space is not my idea of a good time. But we will be in Switzerland for four weeks. The weather is a bit unpredictable and the climate changes with the elevation. That’s it! I doubt I’ll use the running skirt for running (though I’d like to) but if there are any hot and steamy days, I can wear them in place of shorts. I have a mix of cotton and technical fabrics and everything is in a neutral color so they can all be thrown in the wash together and I can endlessly mix and match.